Athletics are a special part of Maryville’s history. From horse shows to soccer games, our alumni have fond memories of extracurricular activities. The Maryville University Archives recently discovered the story of Winifred Prendergast, Maryville’s first resident athletic coach, and a sport that Maryville was an early adopter of: badminton. Prendergast spent her summers in the Muskoka region of Canada, enjoying outdoor activities such as camping, horseback riding and canoeing with her three older brothers. Her father was in education, working as a teacher and superintendent at Teachers College in Ontario, Canada. Prendergast followed in his footsteps and attended Margaret Eaton School in Toronto, Canada. She became an athletic instructor at Toronto University before arriving at Maryville in 1928. Prendergast brought three new sports to Maryville: archery, golf and badminton. Badminton was relatively unknown in the United States at the time even though the sport had been played for centuries in England. It was also popular in Canada at the time because of its ability to be played indoors. Prendergast ordered the sports equipment for the game from Toronto, as she was unable to find a supplier in the United States, and used her personal rulebook to teach the sport. Students would challenge each other to games using a ladder system, challenging the person above them to a match. At the end of each year, letters were awarded to the students and a silver cup was given to the class with the best all-around sportsmanship. Prendergast is credited for bringing the game to the St. Louis area by the St. Louis Globe-Democrat in a 1929 Sunday magazine section. 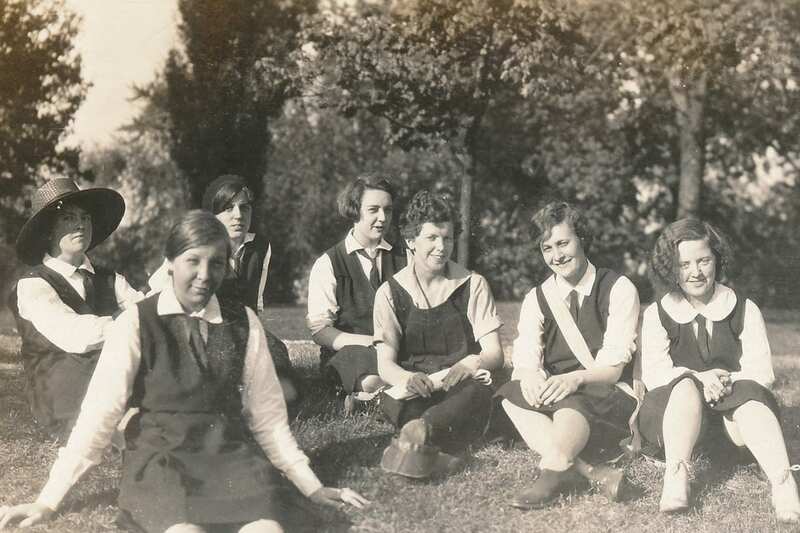 With sports gaining popularity, a Women’s Athletic Association formed on Maryville’s campus in 1929. In addition to the new sports she brought to campus, Prendergast also taught tap dance lessons twice a week. In February of 1935, Prendergast left Maryville to take a coaching position in London, Ontario. Her grandniece, Joanna Anderson, recently donated a set of photographs and articles to the Maryville Archives that report Prendergast went on to teach at the London Teacher’s College in Ontario, Canada. She continued to pass on her love of badminton to future generations of physical educators at that school. For more information, contact archivist Emma Prince at eprince1@maryville.edu. Follow Maryville University Archives on Instagram: @maryvillearchives.